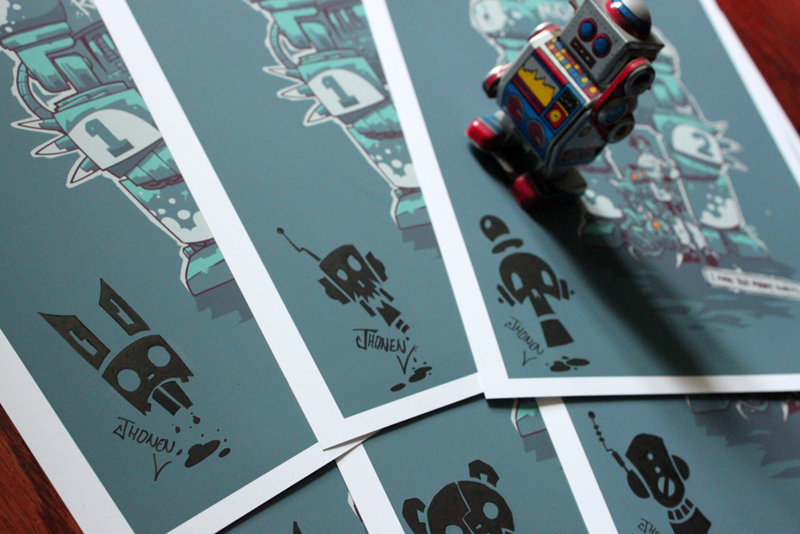 Robo mini-prints for Comikaze Expo! 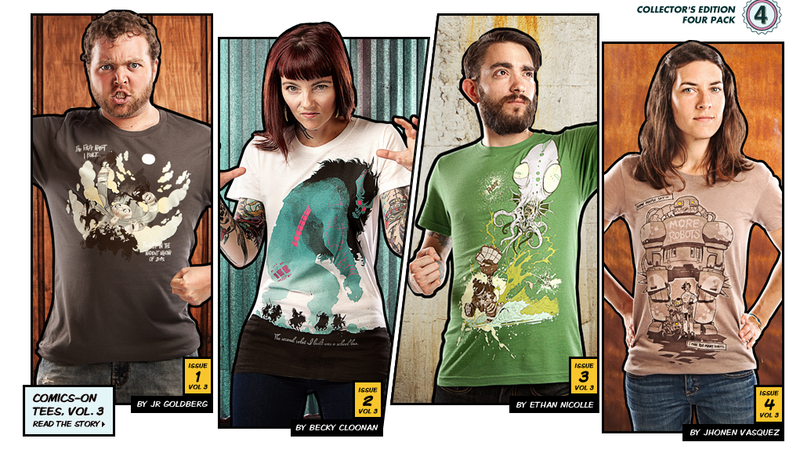 As four of you may know, I’ll be at the Comikaze Expo starting tomorrow, November 5-6. I’m not entirely sure what I’m doing there, but my friend talked me into going and now I kind of hate him, so that’s pretty cool. I’m a “guest of honor” at the thing, and that means I get to sleep with any man’s wife first on the day of their wedding. Anyhow, as is my way, I’ll be there with a fresh clutch of customized mini-prints, just out of sight (stuffed down my pants). Same setup as the past couple of times I’ve done this: I’ll have only 30 prints on me, each print is $35 and can be purchased after delivering unto me the password. The password is secret, so I will tell it to you right now. What isn’t necessary, but would be greatly appreciated is if you could say it with a kind of easy going, souther drawl as if you were sipping a mint julep and just sitting on that there porch of yours, waiting for the kids to come home only they’ll never come home because you don’t have any only you’ve just gone mad from loneliness and old age. 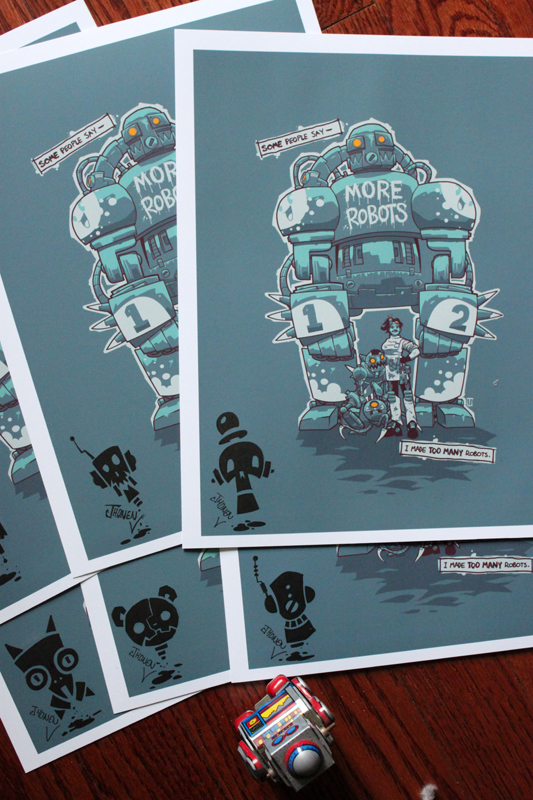 Also, on the Beep Boop Boop part, maybe you could do a little robot dance. Yeah. Yeah…you know what I like. If you’re planning on going, I’ll be there Saturday and Sunday signing THINGS and being on panels where I’m just confused and mumbling. CHECK IT OUT! 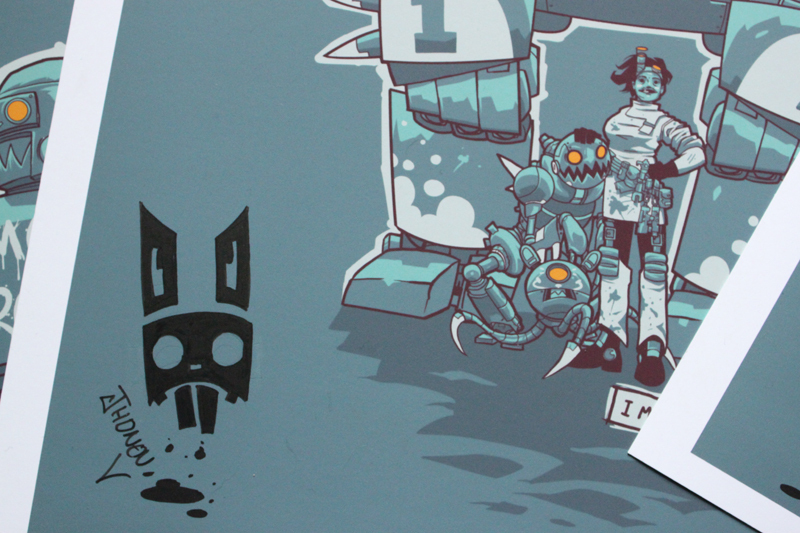 This entry was posted in Appearances, fine things, works and tagged comikaze expo, prints, robots on November 4, 2011 by Jhnen VEE.